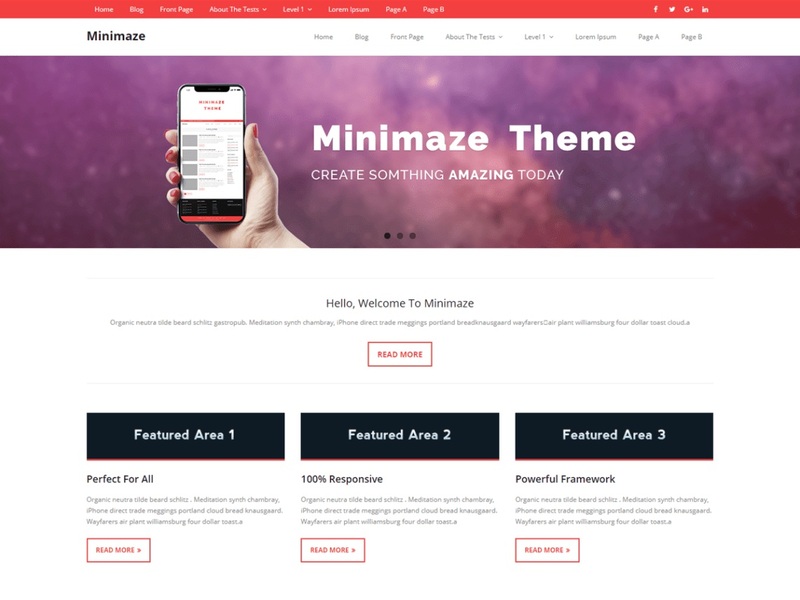 Minamaze Magazine is the free version of the multi-purpose professional theme (Minamaze Pro) ideal for a business or blog website. The theme has a responsive layout, HD retina ready and comes with a powerful theme options panel with can be used to make awesome changes without touching any code. The theme also comes with a full width easy to use a slider. Easily add a logo to your site and create a beautiful homepage using the built-in homepage layout. Compatible with WooCommerce, WPML, Polylang, Flat Parallax Slider, Photo Gallery and Travel Map, Elementor, Page Builder, Beaver Builder, Visual Composer, SiteOrigin, Divi, etc. It’s a perfect theme for small businesses (restaurants, wedding planners, sport/medical shops), startups, corporate businesses, online agencies and firms, portfolios, e-commerce (WooCommerce), and freelancers.